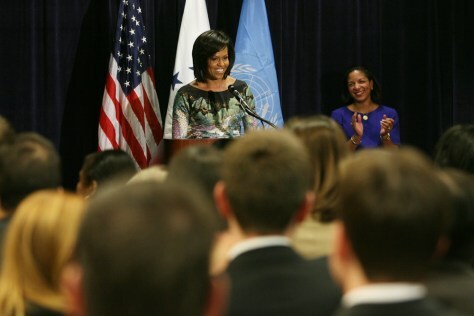 First lady Michelle Obama speaks to employees of the U.S. Mission to the United Nations Tuesday in New York. U.S. Ambassador Susan Rice is right.